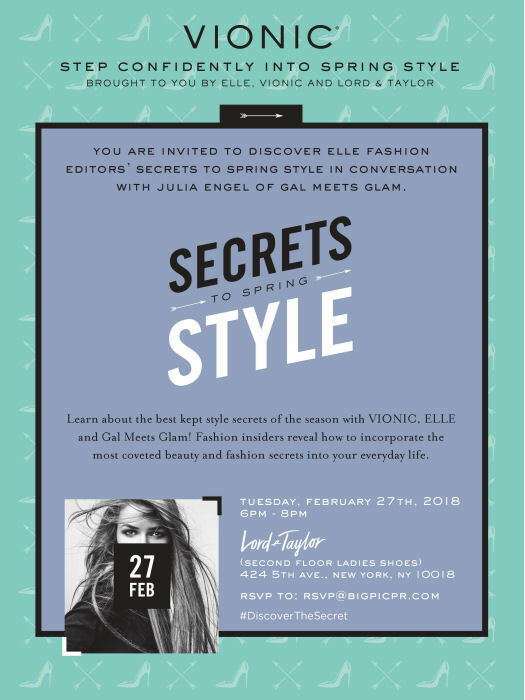 On February 27th, come to Lord & Taylor, in New York City to celebrate the launch of The Secret and participate in an evening of Q & A on “Secrets to Spring Style “ hosted by Julia Engel of Gal Meets Glam. To learn more about The Secret visit https://www.vionicshoes.com/secret. Discover the collection of Vionic styles for spring from the exclusive line of in trend shoes that make the painful days of shoes over.